PRIME Cymru’s Positive About Age Award has been won by Tesco after the supermarket showed exemplary practice in managing an age diverse workforce, with the highest percentage of over 50s amongst their employees. Beating off stiff competition Tesco was presented the PRIME Cymru Award at a prestigious awards ceremony by His Royal Highness The Prince of Wales. PRIME Cymru developed the Award to raise awareness about the benefits of employing the over 50s and to reward best practice in age diverse recruitment and management. HRH The Prince of Wales established the charity in 2001 in response to being contacted by increasing numbers of people being made redundant in their 50s and being unable to find work, feeling like they had been put “on the scrapheap” with years of experience and skills wasted. Since then the charity has helped literally thousands of people aged over 50 in Wales find sustainable employment or set up in business. One of Tesco’s colleagues, Jayne Wells-Griffiths, a client of PRIME Cymru from Goodwick, benefitted both from the charity’s support and Tesco’s positive approach to employing an age-diverse workforce. “I’m very impressed by the way Tesco welcomes all ages into the Company and I really enjoy working here – I feel valued’ “ said Jayne from Goodwick, “It has really boosted my confidence which was starting to be a problem through lone working combined to moving to a new area. I was really grateful to receive one-to-one support from PRIME Cymru in setting up my own business and by working part time in Tesco I can bolster my income – and my confidence. It’s worked out very well”. Matt Bourne, Manager of the Tesco Extra in Fforestfach said, “In my store in Swansea, one of the largest stores in Wales, over half of our colleagues are aged over 50 and more than half of our customers are over 50. So our colleagues really mirror our customer base, which is fantastic – and true for many stores in Wales. There are definite benefits to employing the over 50s – they really have life experience and skills which makes them flexible, adaptable and resilient to change”. 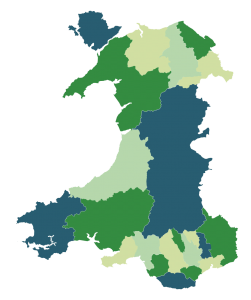 “Since the charity’s founding PRIME Cymru has helped more than 11,000 people in Wales over the age of 50 find sustainable employment or set up a business. Managing an age diverse workforce well should be a crucial business objective for all companies and one that is going to become more and more critical with an aging population. 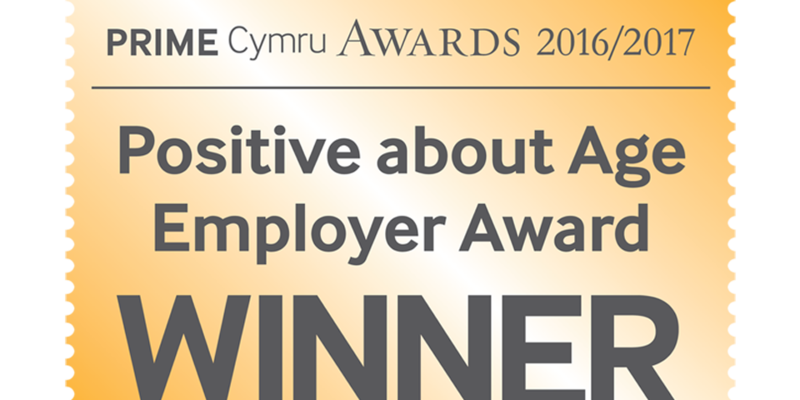 The companies that are in the forefront of this in Wales will be ahead of the game and we will be recognising the ones that we see as being exceptional with PRIME Cymru’s Positive about Age Award”, said David Pugh, Chief Executive, PRIME Cymru.